Student chefs baked their traditional New Year’s cookies to support sick children. 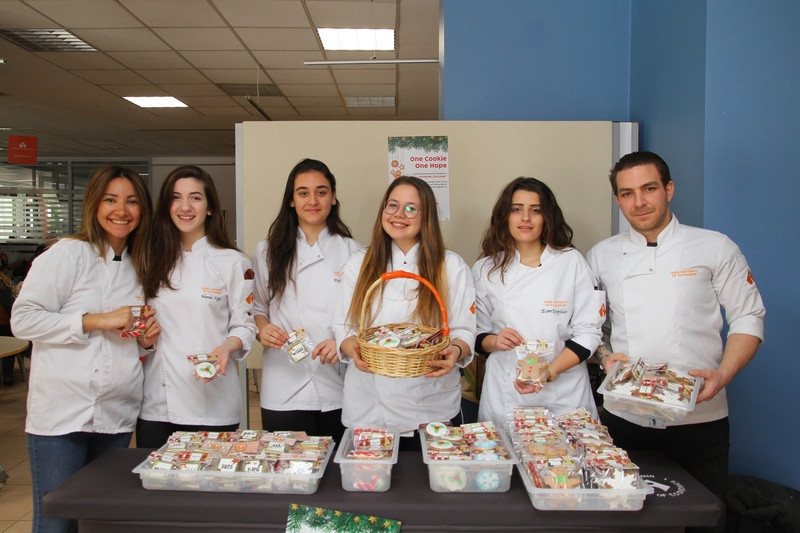 The New Year’s cookies baked by students of Department of Culinary Arts and Management, Izmir University of Economics (IUE) as part of their “Pastry” course, were sold in order to help the “Butterfly Children”. Student chefs donated the fund to buy the ointment used in treatment of Epidermolysis Bullosa (EB), which results from a defect in anchoring between the epidermis and dermis. Santa Claus, snowman, snowflake, gingerbread man, and bell shaped cookies were baked, packaged and sold by the future chefs. Melike Konday, Trainer Chef at IUE Department of Culinary Arts and Management, underlined that the students taking the Pastry course volunteer for the project and aim to promote social responsibility. 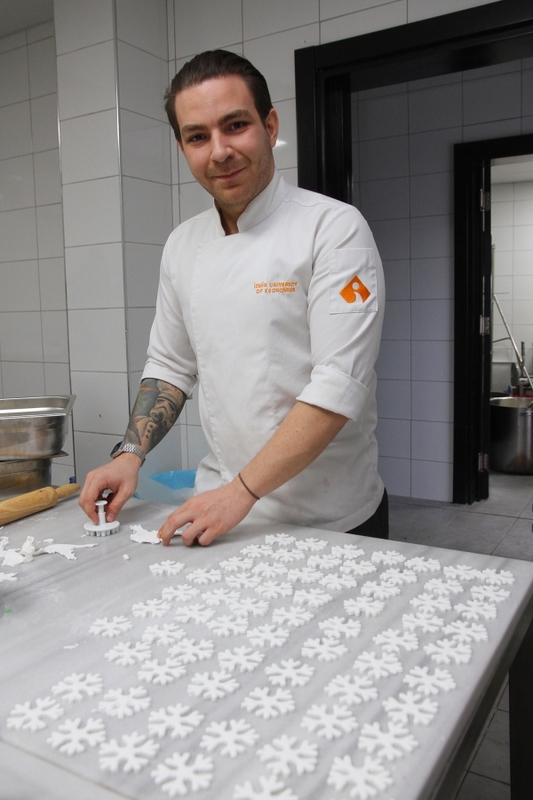 "We turn our Pastry course into a social responsibility project with our students. This Project has become a tradition in the department, the students help one of the charity organizations they choose. We carry out this Project before the New Year every year. This year, the funds will be donated for the purchase of ointments used by the ‘Butterfly Children’. Our slogan is ‘one cookie, one hope’. We baked 1000 cookies. Our students sold the cookies to purchase the necessary medication,” said Konday.